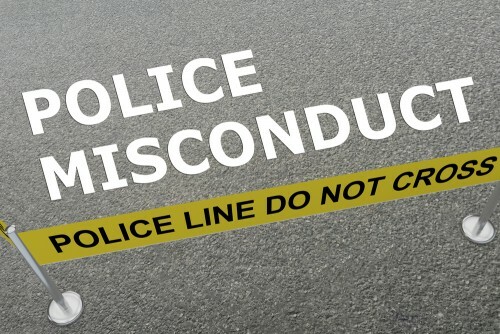 On behalf of admin of JML Law, A Professional Law Corporation posted in Police Misconduct on Friday, Jan 25 2019. You may not realize it, but January 1, 2019, ushered in a new era when it comes to police work in the state of California. That is the date that Senate Bill 1421 took effect, a law that required law enforcement records regarding the use of force, lying on reports, as well as sexual assault to be public. As you can imagine, law enforcement agencies, officers, and their unions are not exactly happy with this new law. They are even less thrilled with the fact that it seems that this law will be applied retroactively, opening up reports from at least the last five years. The state Supreme Court denied a request to hear cases about this, but many unions have found a way to delay the law from taking effect. They have filed cases to stop a retroactive application. At JML Law, we know that this law is going to have a major effect on policing in this state. Transparency has been needed for a long time. If you need a Los Angeles police misconduct attorney, you can count on us to be by your side. She submitted her clarification in a letter to the Senate rules committee and there will hopefully be a resolution to this soon. Why does this matter in LA? Well, a Los Angeles County judge issues a temporary restraining order against the release of many use-of-force and misconduct records. The problem is not just in LA. Across the state, police unions have filed similar motions in their respective courts. These efforts are effectively halting the new law in its place because they are also asking for the release of current records to be halted while decisions are being made. Why is there such an effort to hide past misconduct violations? Are the unions that bent on protecting those who violate the law, even though they are supposed to be the ones upholding it? We are confident that this law will have its intended effects once the court battles are finished. We want a strong police force that also follows the laws they enforce. We know that police misconduct is not going to go away, but Senate Bill 1421 will make it harder to cover up. If you or someone you know has been the victim of police misconduct, please seek legal assistance immediately. At JML Law, our knowledgeable and experienced team will work with you to investigate your case so we can secure the compensation you deserve. If you need a Los Angeles police misconduct attorney, you can contact us by clicking here or calling us at 818-610-8800 for a free consultation today.